The BG Platinum Fuel System Service is an enhanced atomization procedure which removes carbon from fuel systems. The product was developed through years of market research, formula developing, and on-vehicle testing. 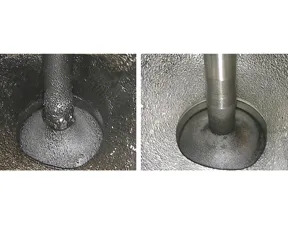 Benefits of the service include: even cleaning across cylinders; potent detergents delivery to dissolve deposits on intake valves; deposit break down on injectors, no teardown or downtime; increased fuel efficiency, performance, and power. The service solves the problem of unbroken deposits on the intake with innovative equipment. The procedure offers the most effective atomization for removal of deposit buildup.